Windows and Mac based systems provide some easy and simple text editors to do the job. Some Debian and Ubuntu based Linux systems do provide visual text editors which you can use, but since Linux is all about commands, one should essentially know how to edit files using command line. It is useful for the long run. Here, In this article, I am going to explain how can you create, or edit a file on Linux based systems. We will discuss two generally used methods on a Linux system- Using command line editors like Vim and using a third party text editor like ‘Emacs’. I will be using a Linux Mint System to explain the steps, however, the commands and interfaces are almost similar on other Linux systems like Ubuntu, and Fedora. 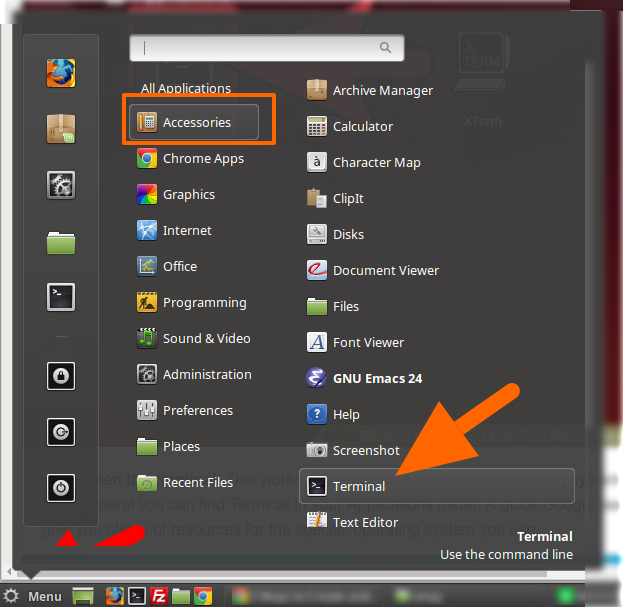 In Linux Mint, you will find the terminal in All applications>>Accessories section of the Menu. 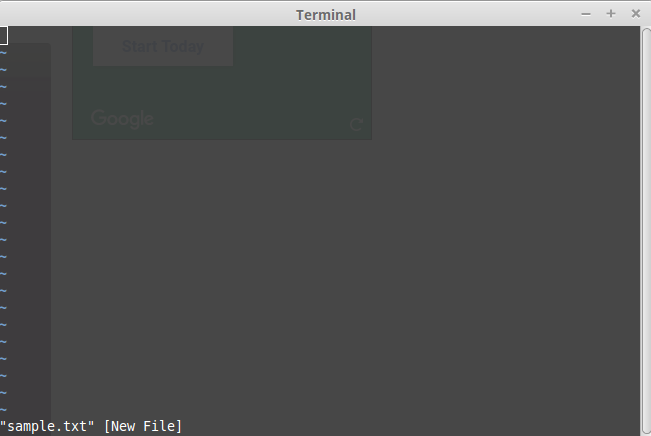 When you open the terminal, you will be in your home directory. The home directory is represented by ‘~’ symbol. To list all the files in your current directory use the command ‘ls’. Do not forget to include the directory path in the command before the folder name. 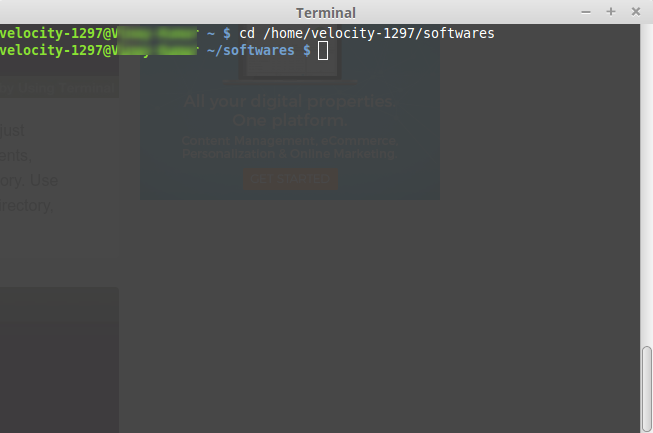 For example, to move to a folder named “softwares” in my home directory I will use the command “cd /home/velocity-1297/softwares”, where velocity-1297 is my system name. Use the command “pwd” to see the full path of your current directory at any time. Use the command “cd ~” to navigate to the home directory directly from any directory. To create a new file to a specific category or to edit a file in a directory navigate to the directory where you want to create or edit the file. For example, If I want to create a new file in ‘softwares’ folder, I will use the command “cd /home/velocity-1297/softwares” to go to the software folder. So, now when we are already in softwares folder, we will create a new file named ‘sample’ here. 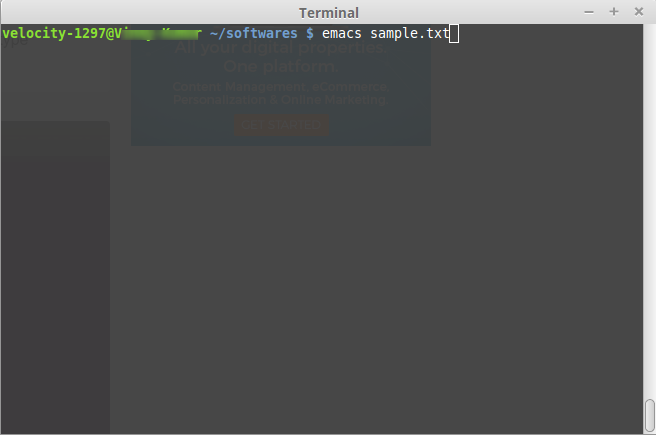 It will open the emacs editor where you can do the editing and save the file. 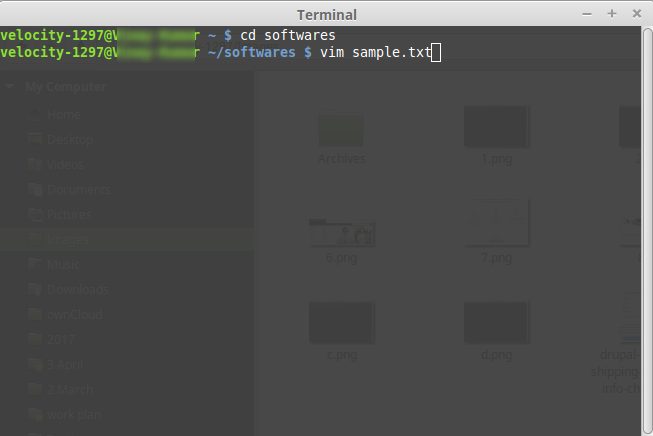 It will open the Vim editor where you can edit your file and save it. You can read more about various Vim editor operations and commands from here. If a file is already there in the folder, the above commands will open the file using the chosen editor. So, the above commands can be used to both create a new file or edit an old file. For example, if ‘sample.txt’ is not there in the folder already, the above commands will create a new empty text file named ‘sample’. 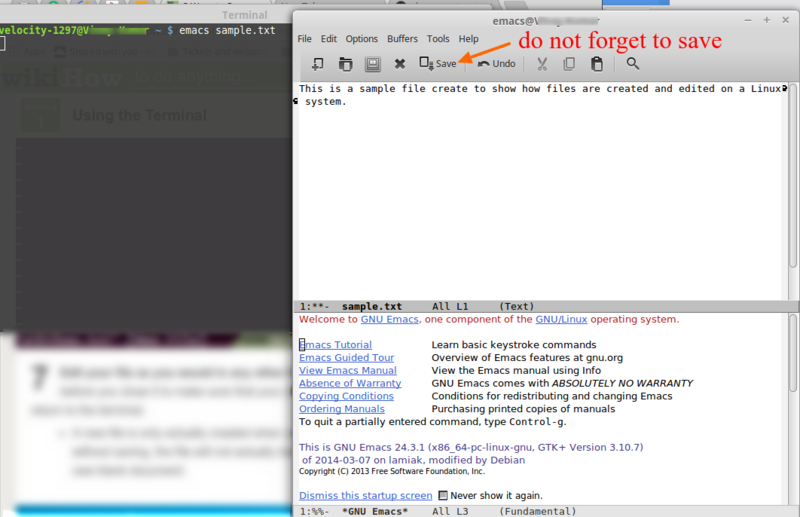 However, if sample.txt is already there in the folder, the above commands will open the file using the chosen editor. You can perform the editing and save the file. For more command line operations such as Zipping and unzipping files on Linux, How to install phpMyAdmin, or to know about Apache web server configuration files, you can take a look at our guides.